Solar Roof FAQs | Solar Roofing Services | Homestead Roofing Co. 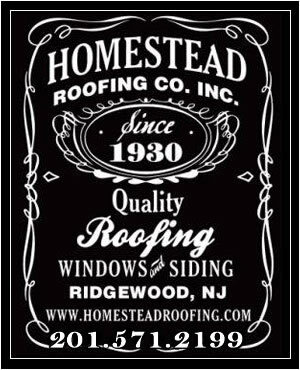 The Homestead Roofing Co. has been proudly serving communities in Bergen County for over 85 years. When you’re considering taking the next step toward practical, efficient, and environmentally friendly energy solutions for your home or business, our certified techs are standing by to supply you with the expertise and quality you deserve. Q: What is solar roofing and how does it work? A: Solar roofing consists of a full array of tiles that are actually individual solar panels. They’re made of durable tempered glass and solar cells. Each panel converts sunlight into electricity that can then be stored or used immediately to partially or fully power your building. Q: Is a solar roof worth it? A: Aside from saving you money on your monthly electric bills, a solar roof is durable enough to last a lifetime. Whether the investment is worth it for your personal needs depends on a variety of factors, from how much energy you need to the percent of solar tiles used on the roof. Q: Can solar panels cause roof leaks? A: When solar panels are installed by experienced, certified technicians to a roof that is already in great shape and structurally sound, they do not cause roof leaks or other related damage. Q: Can solar panels be blown off a roof? A: Professional solar panel installations are backed by the safety net of product manufacturing and building regulations that take wind and other environmental concerns into consideration. Having your panels installed by a reputed company like The Homestead Roofing Co. will guard you against wind damage. Q: Can solar panels be installed on a flat roof? A: Flat roofs are not only compatible with solar panels, but are actually ideal. They offer more design flexibility and a simpler installation process. However, some companies may only be equipped for standard sloped roof installations, so be sure to check with your contractor. Q: Can solar panels replace a roof? A: While the technology and products exist for solar panels to replace a roof, the practice would currently be much more expensive compared to a traditional roof due to the cost and availability of the materials. Q: How much does a solar roof cost? A: The full cost of a solar roof will depend on many factors unique to your situation, such as location, materials, current roof condition, and your energy goals. The Homestead Roofing Co. provides free estimates to assist in a quote that accurately reflects your needs. Q: Will solar panels work on my roof? A: Solar panel installations work well with asphalt shingles, corrugated metals, rubber, clay tile, and standing seam roofs; however, mounting components exist to make installation possible on nearly any material. Large roofs free of vents and chimneys work best, but most contractors are able to work around these and other obstacles to accommodate the panels. Understandably, south-facing roofs with full sun exposure are great candidates for solar panels. A professional solar panel contractor will work with you to assess the qualifications of your roof. Q: What are the options for solar roofing? A: When it comes to solar roofing, you have the option of deciding between a flat or sloped roof mounting system or solar shingles. Flat and sloped roof mounting systems utilize larger panels and depend on hardware to anchor the arrays to your roof. Solar shingles are individual solar panels that are built into your roof and do not require mounting systems. Q: What materials do you use for solar roofing, and what are the shingles made of? A: The Homestead Roofing Co. prides itself on the use of the DecoTech system. It’s a compact design that is fully incorporated into your roofing system, with tiles composed of metals, solar cells, and black, gloss-finished tempered glass. Q: How many solar panels are needed to run a house? A: The exact number of panels you need for your home depends on a variety of factors, such as consumption needs, sun exposure, and the type of solar power system you’re installing. Your current energy bills can help you figure out your average energy usage, which you can then use to get a rough estimate of how many panels you’ll need for the percentage of solar energy you hope to generate. Q: How long do solar panels last? A: Most solar panel arrays come with a 25- to 30-year warranty, and often have a lifespan even decades beyond that. Q: Do solar panels need a lot of maintenance? A: Because of the lack of moving parts, solar panels tend to require very little in the way of maintenance. You may want to inspect them a few times a year and rinse any dirt and debris off with a standard garden hose. Q: How do DecoTech solar roofs compare with Tesla solar roofs? A: Both DecoTech and Tesla solar roofs aim to provide practical, environmentally friendly energy solutions that integrate solar power generation into your roof as an alternative to rack-mounted solar panel systems. The Tesla solar roof utilizes solar cells within the roofing material in order to mask the appearance of the cells almost completely; in comparison, DecoTech systems use standard-size solar panels that are installed during reroofing processes, allowing for a low-profile system with hidden racks and wiring. This method leads to increased efficiency over solar shingle options. 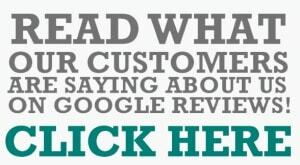 Call today at (201) 444-2233 for a free estimate.